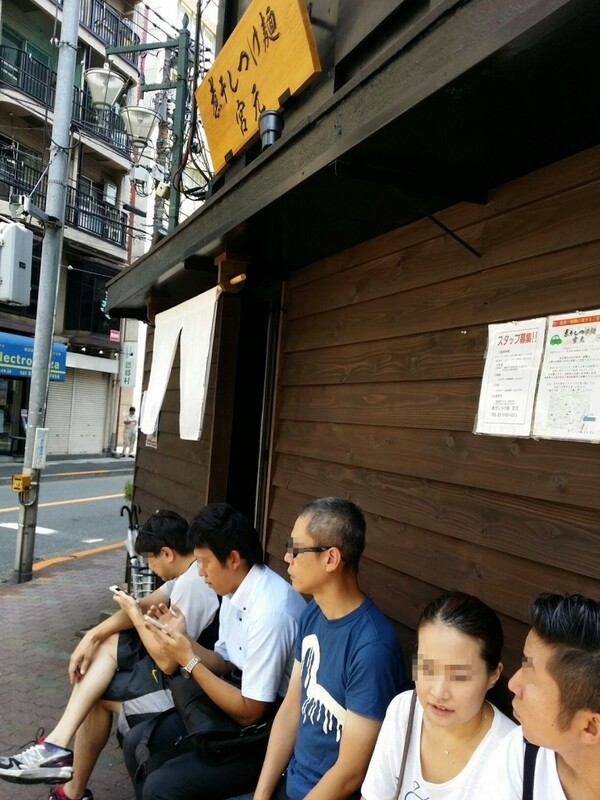 Today, I visited “Niboshi Tsukemen Miyamoto” in Kamata. It is located around 5 minute walk from Kamata station. I arrived there at 11:45, and found around 20 people waiting in line. I could enter the shop in about 20 minutes. 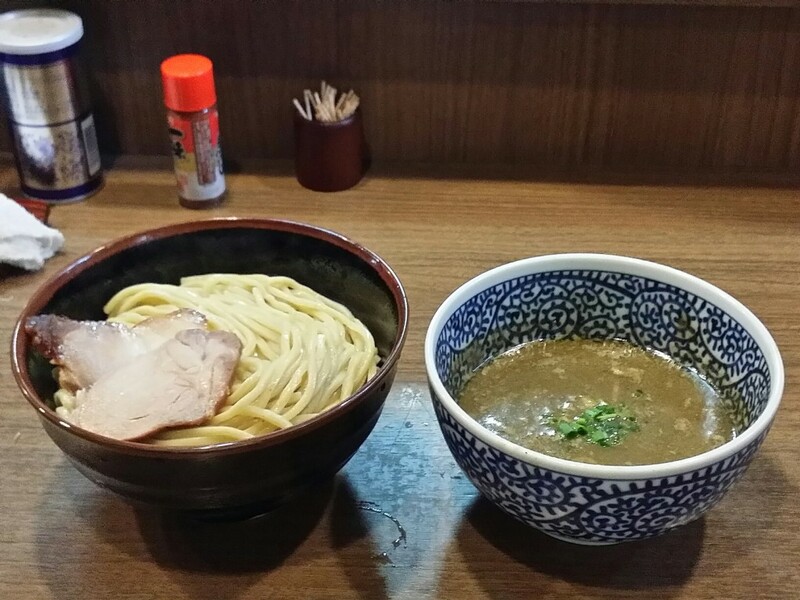 What I ordered was “Gokunou Niboshi Tsukemen(￥830), Chumori(￥50)”. Noodle was thick and straight. Quantity of it was larger than I expected, so I was a little bit afraid if I could finish them all. Toppings were just 2 roasted pork fillets and a few bamboo shoots. Soup was thick like potage. I put almost half of noodles into the soup and had them. There was strong flavor of small dried sardines. It was delicious! This rich taste of small dried sardines made clear the difference from other potage type Tsukemen and might be the reason to make this one popular. I finished them all at once. A lady next to me were having a ramen (thin noodles), which looked also delicious. I would like to try a ramen next time. Born in Shizuoka and living in Tokyo Favorites:Discovering good restaurants and drinking places. Trip.Wine and Japanese Sake.